A bus with the Ukrainians got in the car accident in Budapest, Hungary. 28 people have suffered as Index reported. 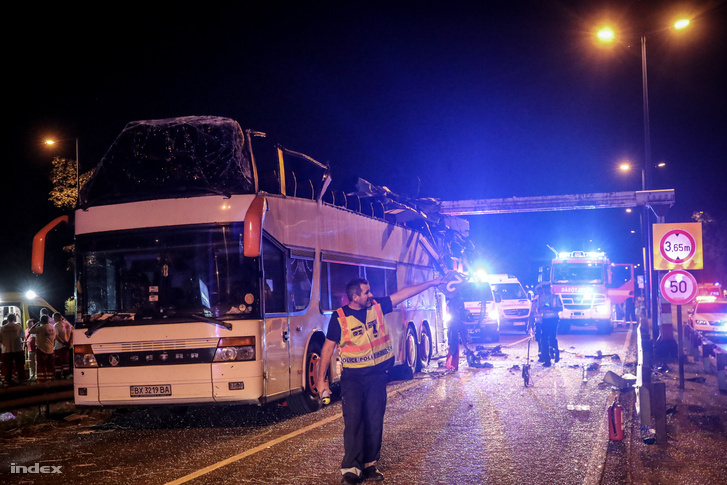 It is stated that the night before a double-decker bus Setra from Ukraine ran into the 3.5 meters height-protector at the speed. As a result, the upper deck was almost destroyed and there were about 20 people. 28 people have suffered in the result of the car crash; eight of them were hospitalized with severe injuries. At the moment, no casualties reported. Also, it is known that the bus moved from Kmelnytsky region of Ukraine. Earlier we reported that five people were injured in the car accident in Vinnytsia. According to preliminary information, a 22-year-old driver of a Hyundai car, a resident of the Chernihiv region, hit the Toyota car, which was moving in a passing direction and stopped in front of a traffic light. Then Toyota hit Opel, which stood in front of it. Continuing the movement of inertia, Opel injured a woman on a pedestrian crossing, who crossed the road on the green traffic light.